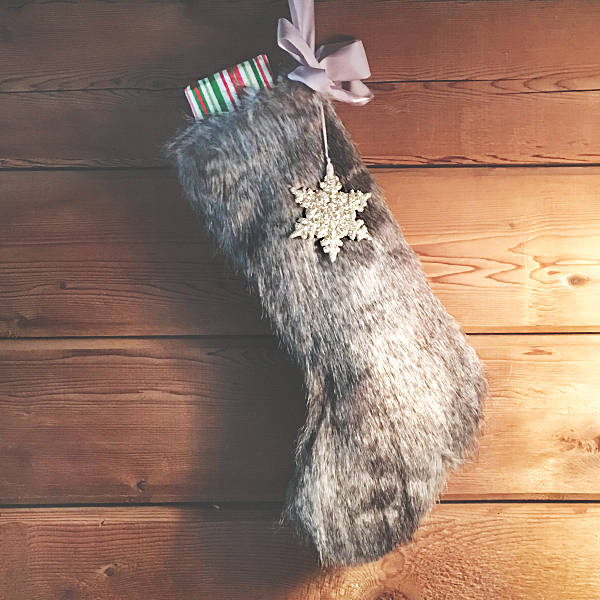 Unique and fun faux fur stocking will add an authentic flair to seasonal decorating. Includes a bow tied gray ribbon and glittering snowflake ornament. 10”w x 17 ½”l.